People love to criticize Windows 8.1’s dual nature, with its (admittedly nice) tablet interface bolted on top of the traditional desktop. But Windows 8 and Microsoft at least deserve credit for is encouraging device makers to rethink what a PC should look like. 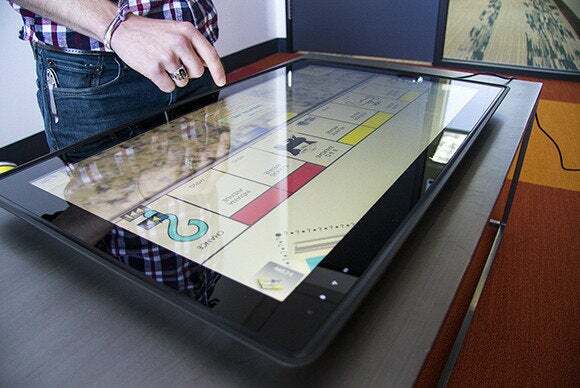 Thanks to the useable touch interface on Windows, companies are creating intriguing hybrids, from giant tablets that turn into all-in-one PCs, to laptops that turn into Android tablets or Windows 8 desktop PCs. Some are true revelations. Others are bizarre mutations. Either way, here’s a look at some of the most interesting hybrids, convertibles, and 2-in-1s to date. Let's start with the "interesting in a good way" models. When we reviewed Toshiba’s 2-in-1 clamshell in April, PCWorld’s Mike Brown said it was the best execution he’d seen for a detachable laptop-tablet hybrid. As an 11.6-inch tablet with a 1080p display, the Portege Z10t weighs just under two pounds—admittedly much heavier than the one-pound norm for tablets like the iPad Air and Samsung Galaxy Tab 10.1. Nevertheless, it’s pretty light considering the beefy processing power packed behind the display. The z10t we reviewed featured a dual-core Intel Core i7-4610Y processor, 8GB of RAM, a 256GB SSD, Windows 8.1 Pro, and even a Wacom digitzer. But with prices starting at $1,500, you’ve really got to want a laptop that doubles as a tablet to pick this up. Technically the Surface Pro 3 is a tablet, but we’re willing to bet most folks spring for the $130 Type Cover accessory, since using it as a tablet and a laptop is Microsoft’s intention. 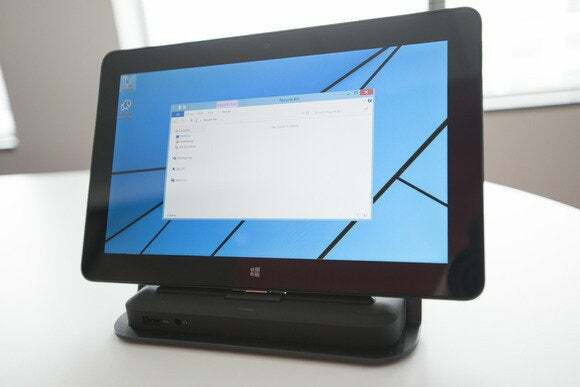 A desktop docking station makes the Surface Pro 3 even more versatile. Ever since the iPad, the geek set has dreamed of trading in laptops for a powerful tablets backed by a solid application set and the cloud. 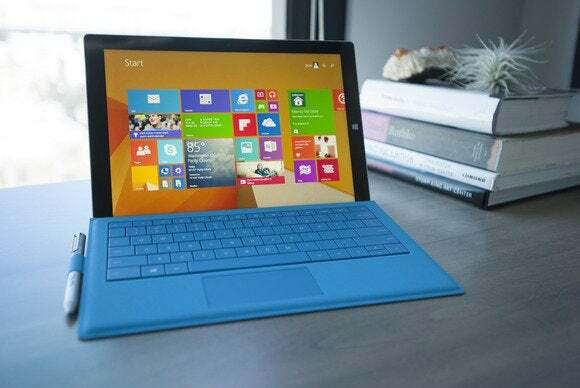 The Surface Pro 3 is the first we’ve seen that comes close to that ideal. 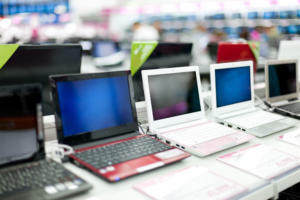 It packs Ultrabook-level power into an oh-so-slim portable package. The revamped kickstand and Type Cover hinge make the device feel comfortable in your lap when you're using it as a notebook—a first for Microsoft's hybrid. When Windows 8 first came out, Lenovo’s back-bending Yoga line was one of the earliest devices to succeed at taking advantage of the operating system’s dual nature of a tablet and traditional PC—so much so that numerous other manufacturers are now ripping off the basic design. The Yoga 2 11 isn’t all that different from earlier iterations, but with a $500 price tag it’s a solid buy for computer users who want their laptop to bend, fold, and twist into different form factors. You can use the Yoga 2 in several ways: tablet mode with the keyboard folded back, stand and tent shapes for easier presentations and media viewing, as well as the standard laptop mode. Similar to Microsoft’s Surface Pro 3, Dell meant the Venue 11 Pro to be a multi-function device that can serve as a tablet, a small laptop, and (with the right accessory) a baby-sized all-in-one PC. The Dell Venue 11 Pro features a 10.8-inch 1080p display. 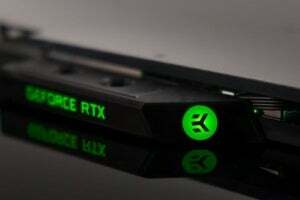 The model we saw came packed with an Intel Atom “Bay Trail” processor (upgradeable to an Intel Core i3 or i5), 2GB of RAM, a 64GB SSD, and Windows 8.1. 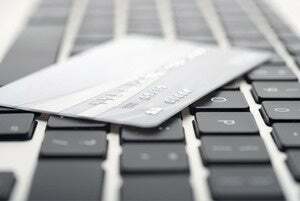 A pricier business-focused version adds impressive security features not often found in tablets. 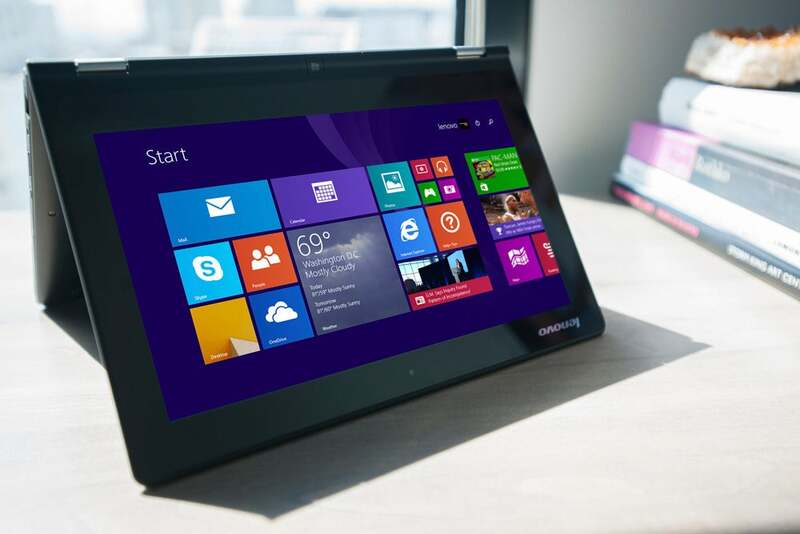 What makes the Venue 11 distinctive is its all-in-one PC potential. For that, you’ll need to pick up a $110 Dell Tablet Dock sporting three USB 3.0 ports, DisplayPort, HDMI out, and ethernet. 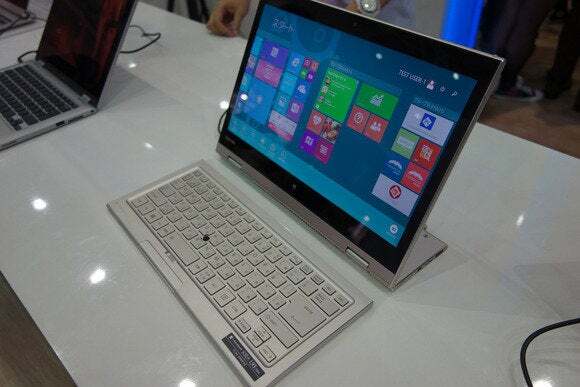 Acer’s Aspire Switch 10 may look like another Lenovo Yoga imitator, with its presentation, tablet, and tent modes. 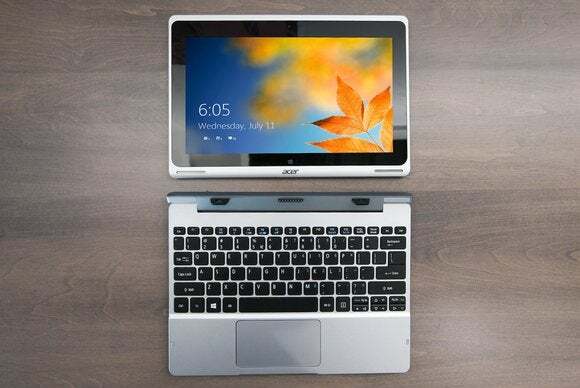 But unlike the Yoga, which is a laptop that tucks its keyboard behind the screen, Acer’s laptop has a detachable display that transforms into an actual tablet. The Aspire Switch is also pretty light at around 1.29 pounds. We found a few problems: a dim display, a mediocre keyboard, and a problematic magnet-based system for reattaching the screen. Nevertheless, for less than $500, this novel little 10-inch laptop just might fit the bill for road warriors looking to travel light. Now let's start digging into some of the more exotic hybrids. And you thought the swinging hinge on Dell’s XPS 12 made for a weird convertible. The most remarkable thing about the Acer R7 isn’t its specs or quality, but its wacky design. Look at the device in laptop mode: Notice that the trackpad sits above the keyboard. Yes, above. Then you start playing with the device’s hinge, which lets you move the R7’s display into all kinds of positions—including what Acer calls “Ezel” mode, where you bring the display closer to you by covering up the trackpad. You can even have what you might call 'platter' mode, where the display looks straight up toward the ceiling. The R7 was certainly… innovative. Asus just loves to create hybrids. It's been dabbling with weird form factors ever since unveiling the playful Padfone smartphone-tablet hybrid, first announced in 2011. Take last summer’s Transformer Book Trio. 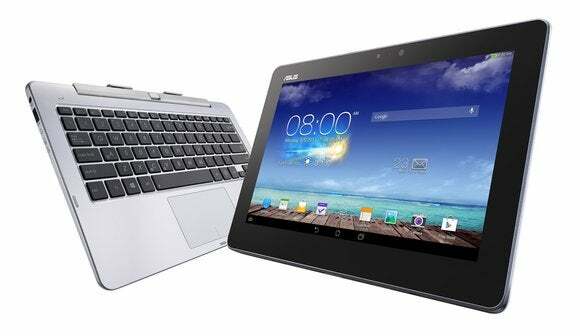 It starts as a Windows 8.1 laptop, but detach the display and BOOM!—you’ve got an Android tablet. 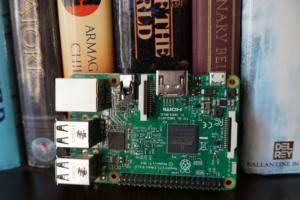 Hook the keyboard up to a discrete monitor and BANG!—you’re back in Windows 8.1, but this time you’ve got a desktop PC. Weird. The Trio is surprisingly light at 3.7 pounds. Not bad, considering its 11.6-inch 1080p display packs full tablet and PC specs. 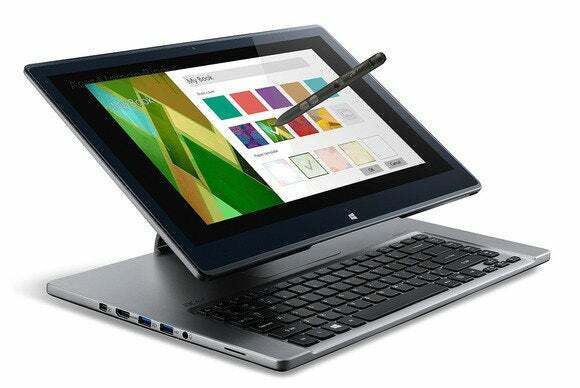 One well-received tablet-AIO hybrid is 2013's Dell XPS 18. 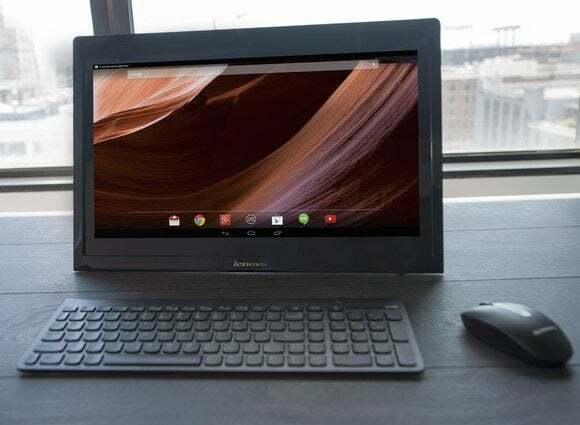 It has an 18-inch 1080p display that you can use as a 5-pound tablet, or open up its kickstand and connect it to a wireless mouse and keyboard to use it as a (somewhat) traditional desktop PC. Toshiba’s Dynabook Kira L93 isn’t available in the U.S, but it's no great loss. When we saw this shape-shifting hybrid at Computex, it was as cumbersome as it was interesting. 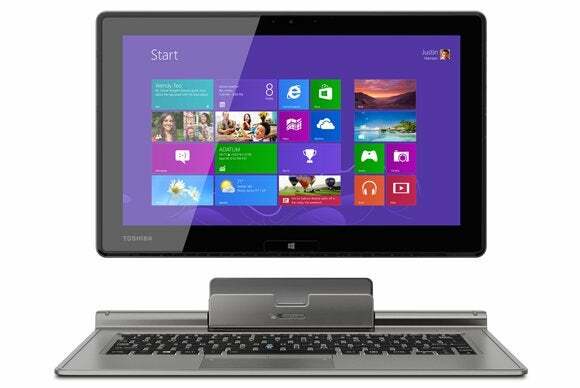 The Kira L93 looks like a laptop-AIO-tablet hybrid. It has a 13.3-inch display with 2560x1440 resolution, it can take stylus input, and the display’s bottom hinge rotates 360 degrees to convert form factors. But the Kira L93 actually has seven—yes, seven—different modes: tablet, laptop, AIO, presentation, tent, easel (presentation mode lying a different way), and fully flat, with the screen and keyboard both facing up. The Kira L93 is currently available in Japan for a little over $2,000.